A Brief History Of America's Middle Class What does it mean to be middle class in the U.S.? Over the past century, the idea of the "middle class" has gone through a number of drastic transformations. 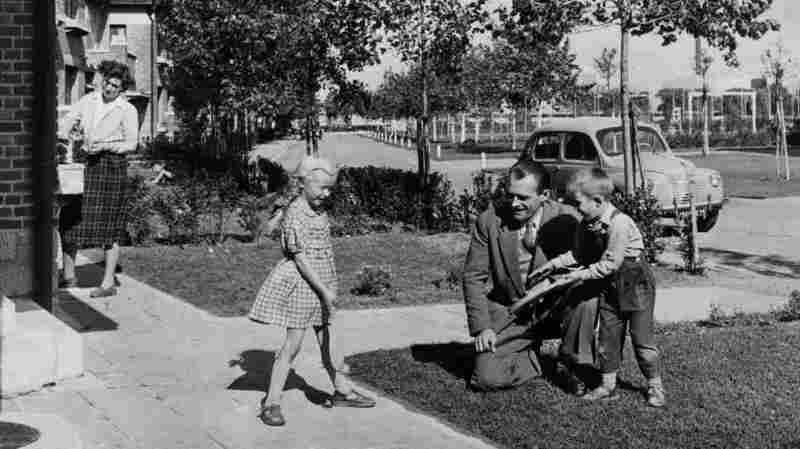 A father plays with his children outside their house in 1952. Last year was the first recorded year that middle-income families no longer made up the majority in America, according to the Pew Research Center. What this actually means economically is a mixed bag, but "middle class" in the U.S. has historically stood for something less concrete: the American dream. Between now and the election, All Things Considered will be looking at what it means to be middle class in America today. April 1939: For the 1939 World's Fair in New York, the Westinghouse Electric & Manufacturing Co. commissions a one-hour film telling the story of a family called the Middletons. The Indiana family visits the fair and is won over by the Westinghouse exhibit's futuristic display of middle-class lifestyle and leisure. June 1944: The GI Bill (known formally as the Servicemen's Readjustment Act) is signed into law by President Franklin D. Roosevelt, providing World War II veterans benefits that include payments for education and loans for starting businesses. 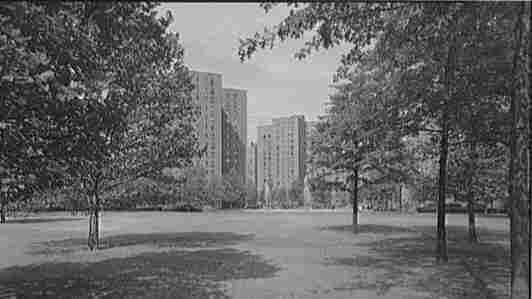 Fall 1947: Stuyvesant Town housing complex opens in Manhattan, intended for workers facing the postwar housing shortage. Rents that year range from $50 to $91 per month. May 1949: Arthur Miller wins the Pulitzer Prize in drama for Death of a Salesman. 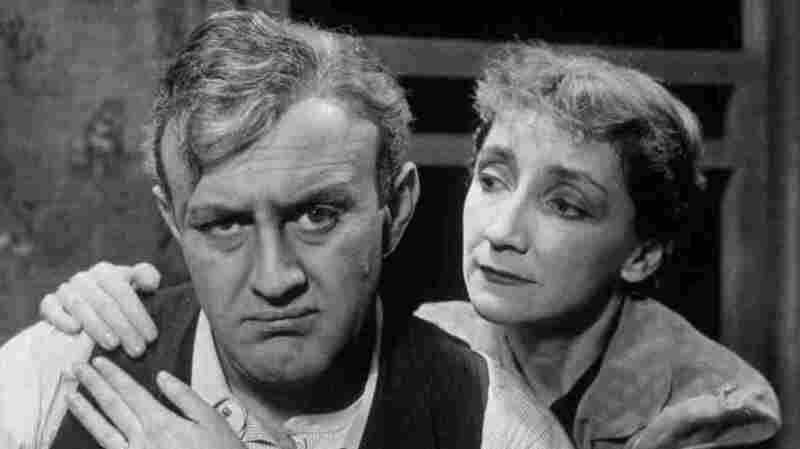 The play tells the story of Willy Loman and the failure of the American dream. Lee J. Cobb and Mildred Dunnock in a production of Arthur Miller's Death of a Salesman in 1949. November 1954: General Motors celebrates its 50 millionth car coming off the assembly line in Flint, Mich. At the time, Flint is a middle-class boom town and a center of industry. July 1959: As part of the American National Exhibition in Moscow, the State Department stages a "typical" middle-class home to showcase American comfort. The three-bedroom, 1 1/2-bath house is intended to be "bright, cheerful, and well-furnished," according to the AP at the time. 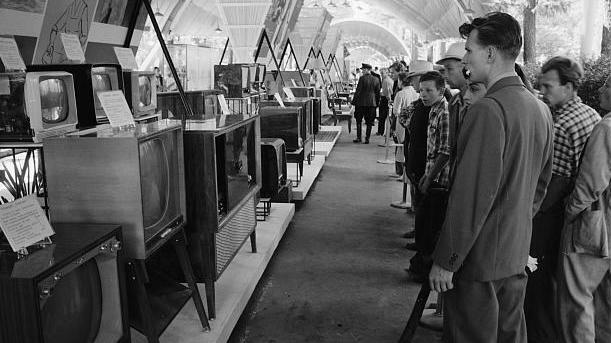 Russians look at television sets and radios at the U.S.S.R. Exhibition in Sokolniki Park, Moscow, next to the American National Exhibition in 1959. 1963: Folk singer Pete Seeger scores a hit with "Little Boxes," a song written the year before by Malvina Reynolds that satirizes middle-class suburban conformity. January 1975: The Jeffersons premieres on CBS, running for 11 seasons and 253 episodes. One of the longest-lasting sitcoms in American television, the Norman Lear-created show stars an affluent African-American family adjusting to its shift from working class to upper middle class and beyond. January 1980: Beginning of the "double-dip" recession, which will last through November 1982 and hit the Midwest and Rust Belt the hardest. The economy is affected in particular by "stagflation," in which high inflation is coupled with low or negative growth. August 1981: President Ronald Reagan signs into law the Kemp-Roth tax cuts, also known as the Economic Recovery Tax Act of 1981, which cuts marginal income tax rates by 23 percent across all income brackets over three years and indexes them for inflation, among other changes. 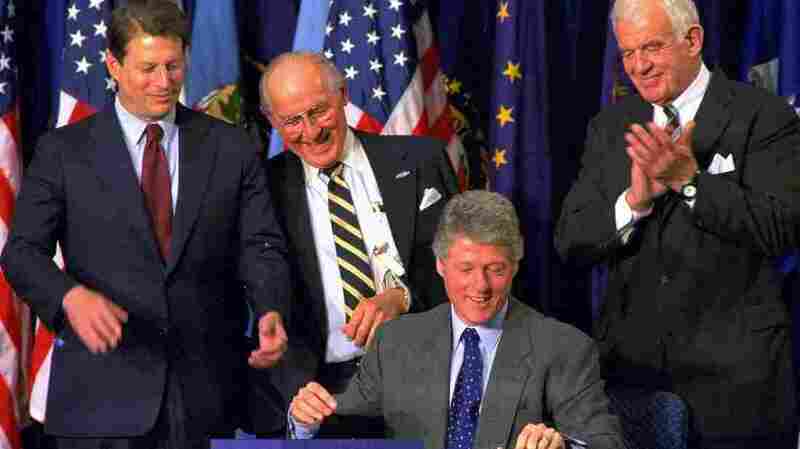 Dec. 8, 1993: President Bill Clinton signs legislation implementing the North American Free Trade Agreement — NAFTA — which establishes a free trade zone with Canada, Mexico and the U.S.
House Minority Leader Bob Michel (center) looks over President Clinton's shoulder as he signs legislation implementing the North American Free Trade Agreement. Vice President Al Gore (left) and House Speaker Thomas Foley also look on. June 2001: President George W. Bush signs into law a series of tax code changes known as the "Bush tax cuts," including marginal tax rate reductions, increased child tax credits, and a gradual reduction of the estate tax. Some of those changes will be extended in 2010. December 2007: The Great Recession begins and unemployment rises, eventually reaching 10 percent. The recession lasts through June 2009, but many areas of the country are still recovering today. 2015: The first recorded year since 1970 when people in the middle-income bracket no longer make up the majority of people in the U.S.